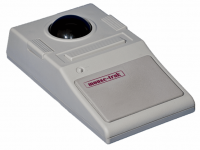 MOUSE-TRAK: Designed to be beneficial to the home and small office (SOHO) user. This series of products are extremely durable for heavy office use. The products in this family are also ergonomically designed for pain free operation during long hours of use. These devices are suitable for home, office and CAD applications.